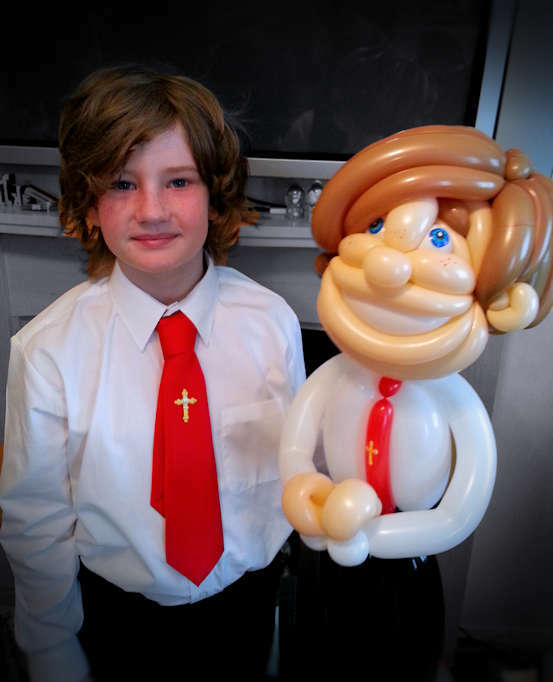 Balloon Modelling, Balloon Twisting for Birthdays, Weddings and more! The ninja turtles candy cups went down a storm at George’s party, the kids were thrilled and so were the parents! They drew a lot of interest! Mum absolutely loved her orchid & went around the neighbours showing it off! 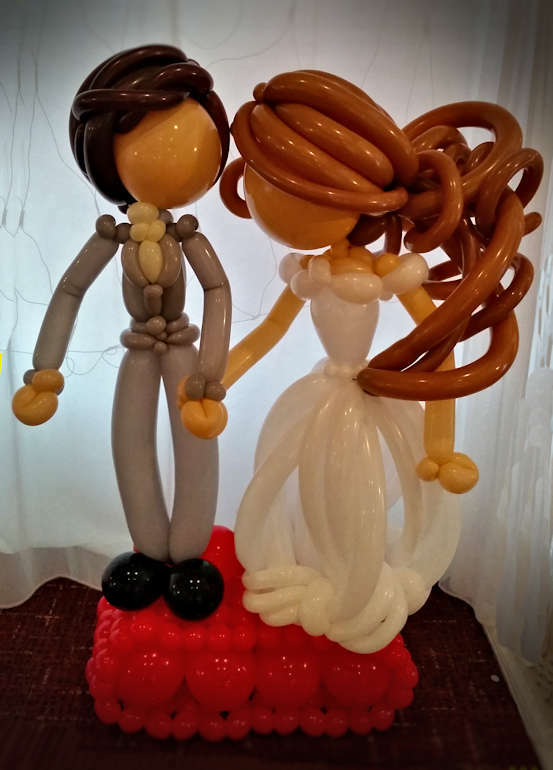 Balloons come in all shapes and sizes, lead balloon artist, Ditzy Doodles combines her art skills and takes it to a whole new level, with beautifully designed and constructed balloon sculptures & gifts for any celebration! 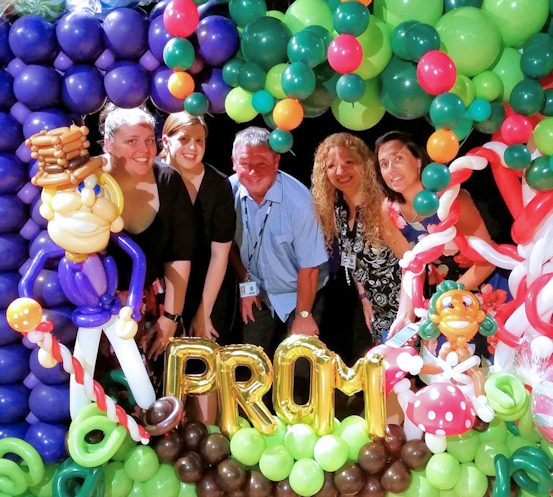 Ditzy Doodles can make your event stand out with balloons that are larger than life! 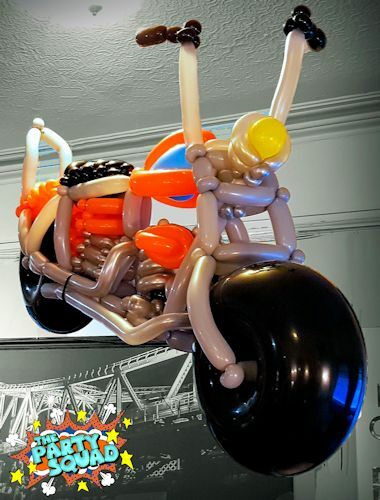 If you are holding an event this year in the North West invite The Party Squad to offer Balloon Twisting, your guests will be WOWED by the designs, and everyone gets to take something home with them! 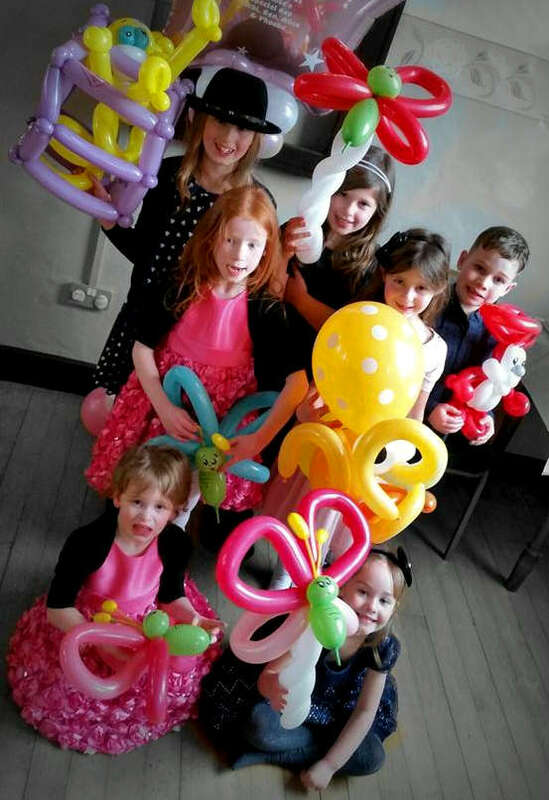 Ditzy Doodles loves coming along to your parties to create balloon models that will wow the crowd, and not leave them feeling deflated with your typical one balloon style models. 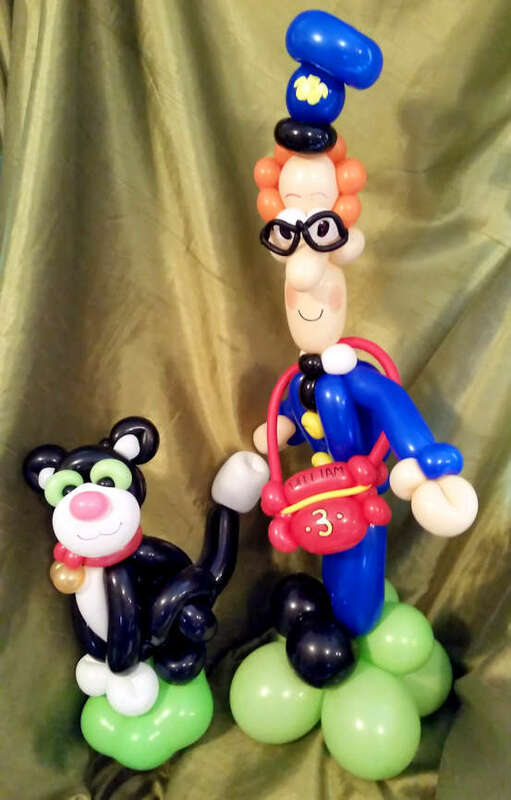 Balloon Twisting at Parties can be combined with face painting and other activities depending upon how many children are attending. 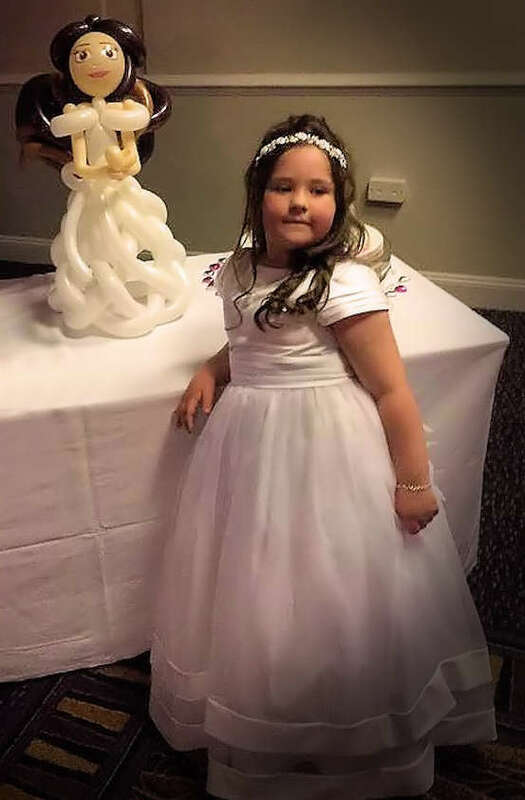 All ages from 3 to 103 love balloon models, and Ditzy Doodles has been invited to anything from Birthday Parties for the young and the young at heart, to Secondary School Proms! 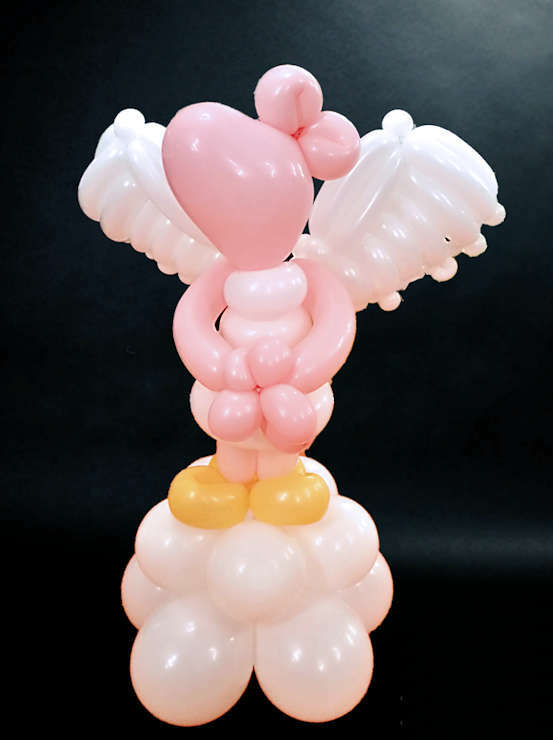 Haven’t got time for a Balloon Twister to attend your event, ask about our Bag-O-Loons Service. 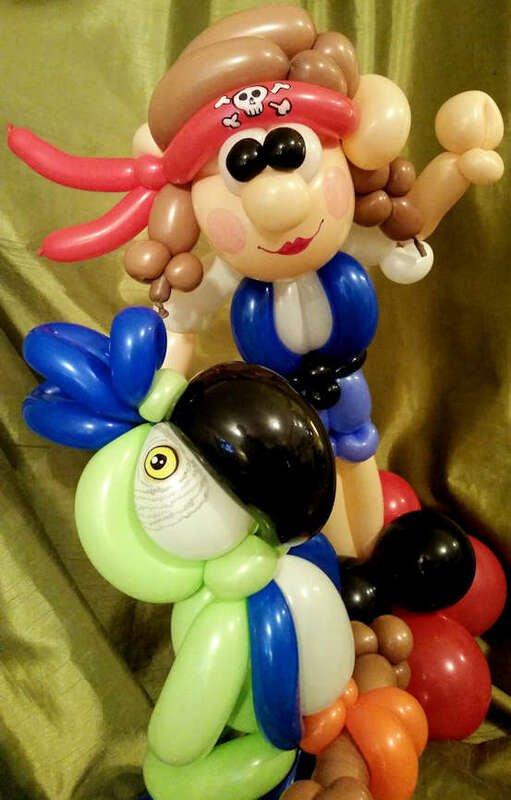 The Party Squad can provide pre-made balloon models for you to give out at your event. The Party Squad can accommodate any theme! YES, I want this package! 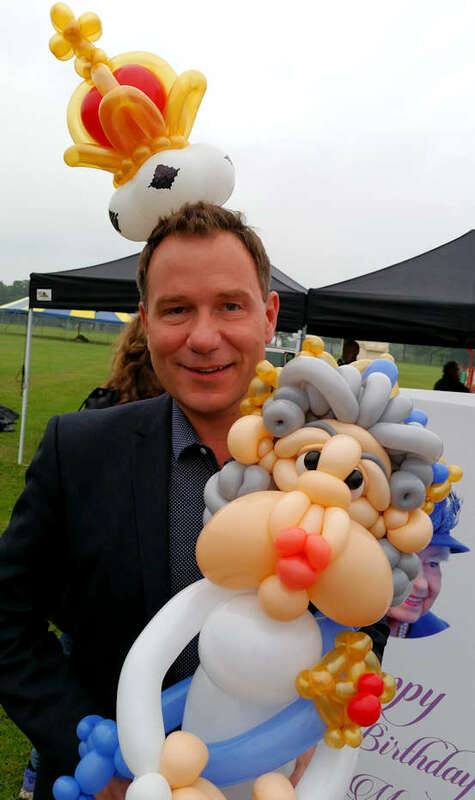 If you’re looking for something different, how about a U-Balloon…a balloon sculpture of your family member, friend of work colleague, or any favourite character for your favourite person, yes grown ups love them too! 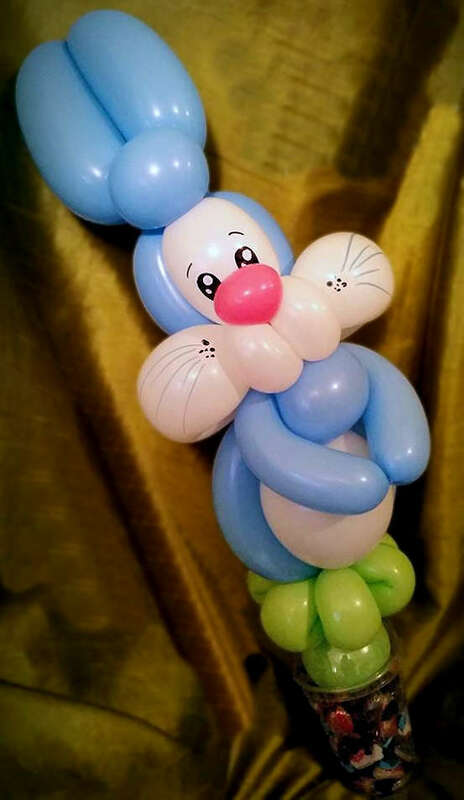 Checkout the cute Huggable Range, perfect for any occasion, with choice of Blue Nose Bear, Funky Monkey and Bertie Bunny holding on to lovely balloon flowers of your choice. 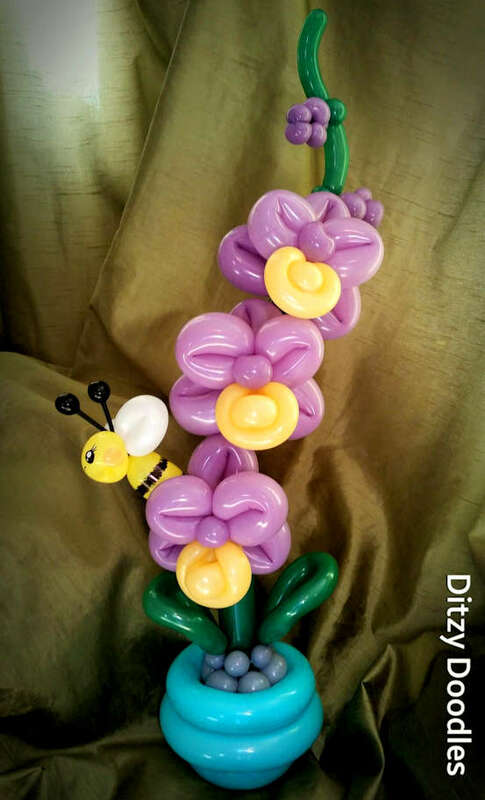 Whilst Balloon Blooms are great for hospital visits as many hospitals don’t allow real flowers on the ward. 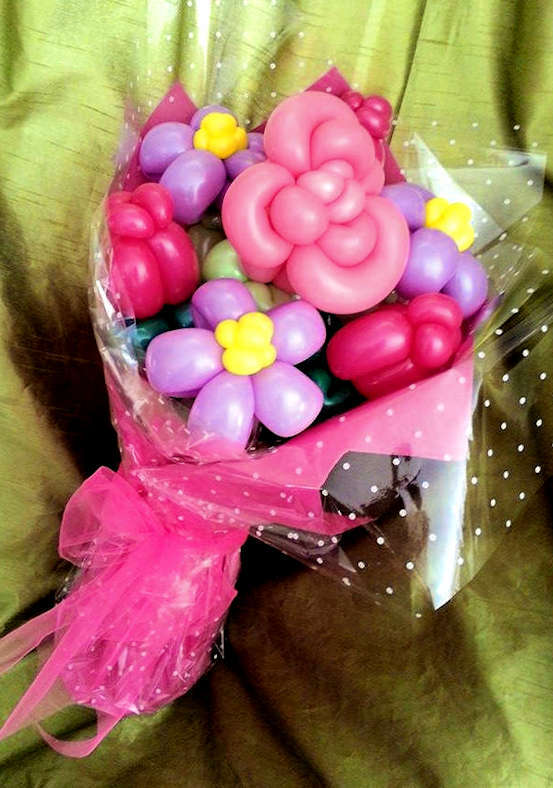 Balloon Candy Cups make a luxurious alternative to party bags, or a nice little treat for somebody special, also perfect as Teacher Gifts at the end of the school year! Life is celebrated every day, through laughter, tears and fond memories of years gone by. 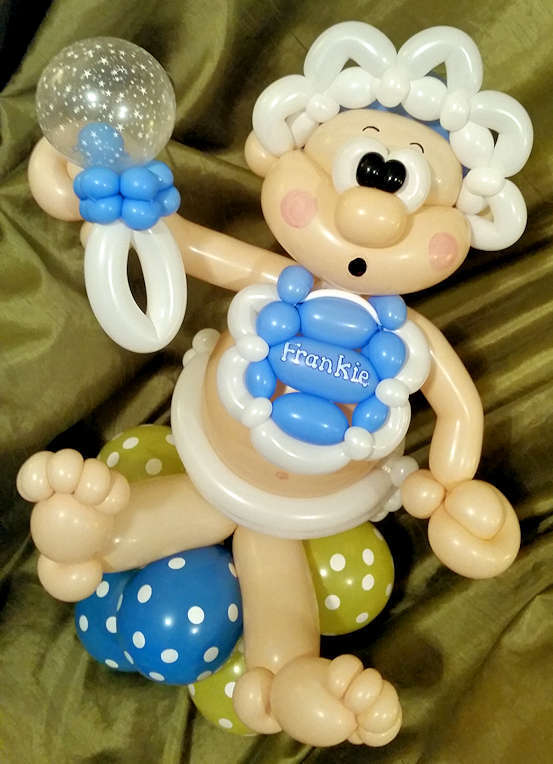 From Just Married to New Baby, your balloon artist captures these moments creating beautiful balloon gifts, as well as creating Balloon Tributes to celebrate the lives of your nearest and dearest when they pass away. 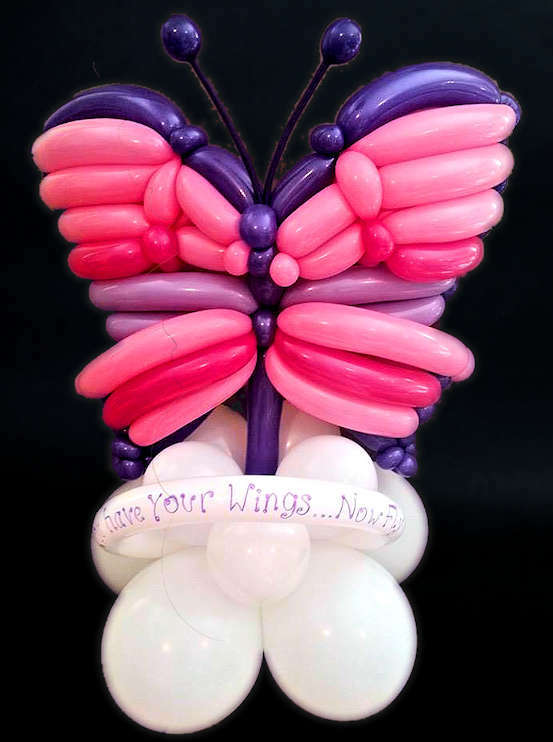 Balloon Tributes help celebrate the fun loving personality of your loved one, and are particularly poignant for those who are taken too soon. Offering a discreet and supportive service, offering tasteful displays that can incorporate favourite hobbies or characters, we are there for your family throughout your journey over the years. 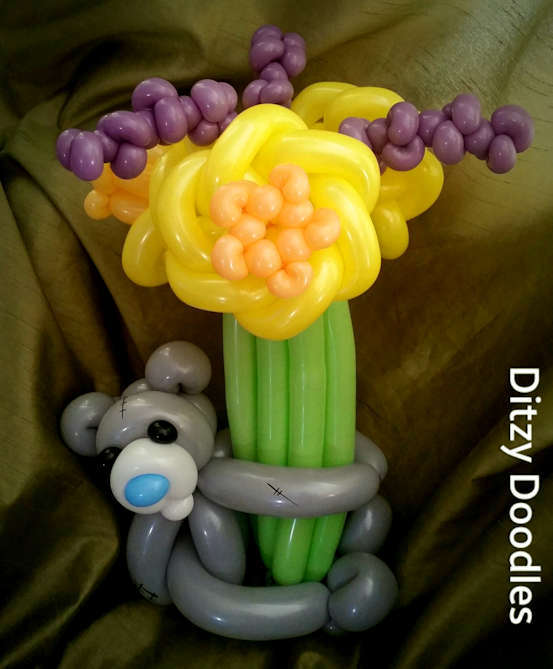 Ditzy Doodles delivers to you a fun filled 60 minute Balloon Twisting Workshop suitable for children age 5-11. 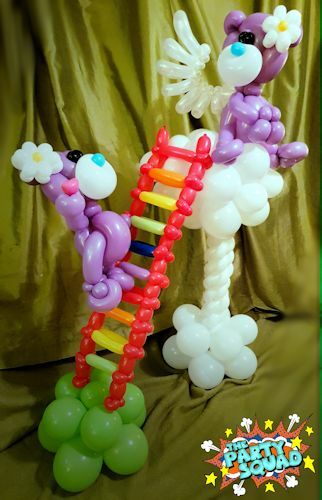 All the children (and adults) will love this hands on workshop and feel a sense of achievement when they get to take home their balloon creations. 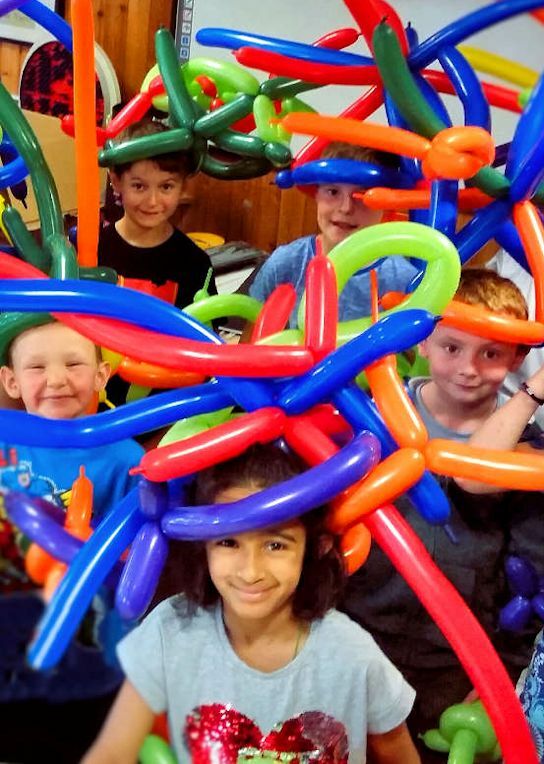 They will learn how to handle modelling balloons, where the latex comes from to make the balloons, they will get to make their very own swords, dogs and anything goes when they create their own CRAZY hats and if we have time we can all work together or in smaller groups to create structures and shapes. 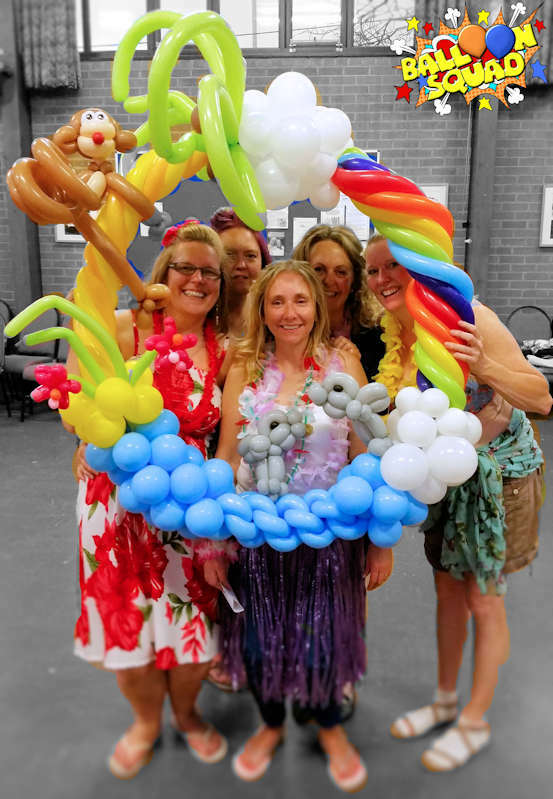 Balloon workshops can be tailored to your event, perfect for corporate events, and if you want a seasonal themed workshop, get in touch! I made you look didn’t I? Before toy balloons were invented people inflated pig bladders and animal intestines. I warned you it was gross! You’ve all seen Photo Booths and you’ve all seen Selfie Sticks, but have you seen a You’ve Been Framed Selfie Station? The answer will probably be “No!”, until now of course. 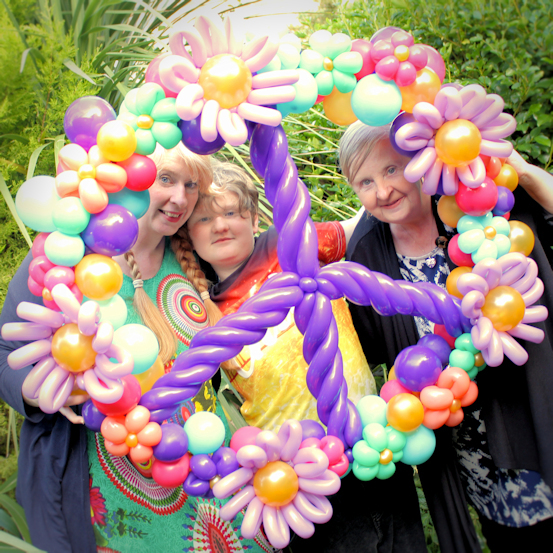 Ditzy can create anything from a simple portable Selfie Frame to life size elaborate frame for your event, to suit your theme and colour scheme. We guarantee that everybody will want their photograph taken at your Selfie Station, making it perfect for a corporate event too! If you are looking for fun activities at your corporate or seasonal events, then look no further! 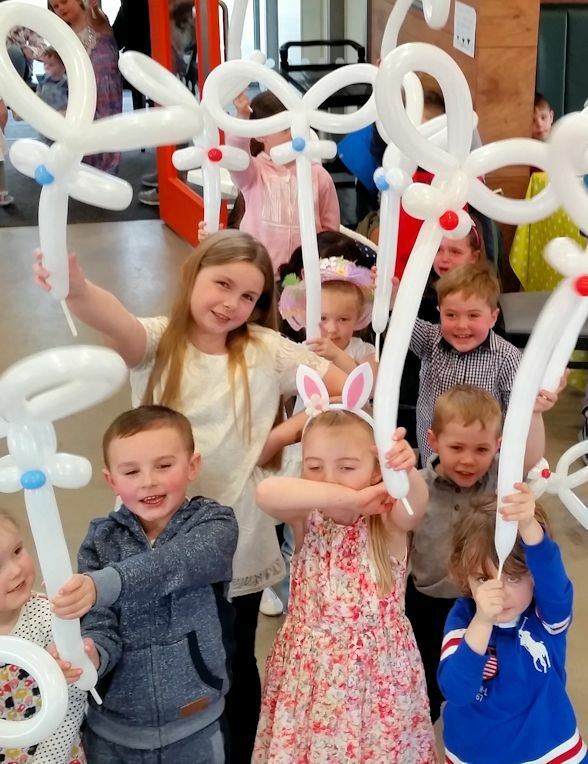 Ditzy Doodles brings plenty of fun with balloons, whether it be balloon twisting at a School Prom or creating a large piece for your corporate event, to using our fun Lucky Dip Service across Shopping Centres, public events and more. Ditzy Doodles can also create something special or spectacularly bonkers for any corporate event. 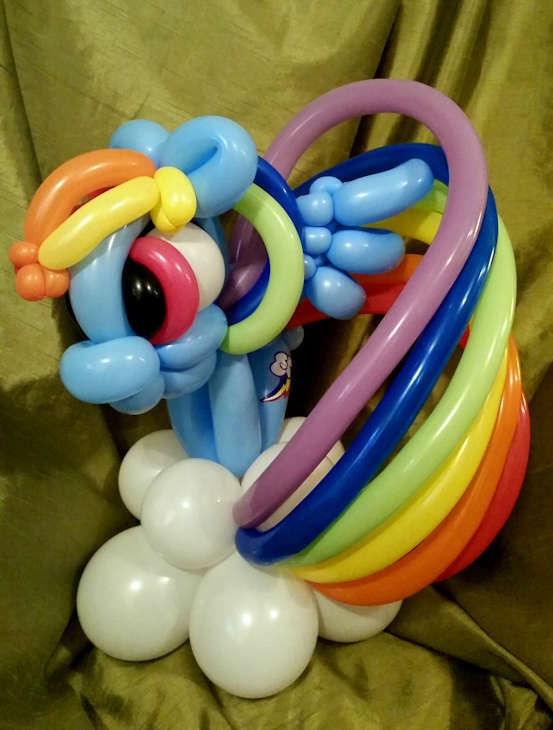 Modelling Balloons are made from the sap of rubber trees (Heveabrasiliensis), that grows in Malaysia, the tree produces a milk like substance called latex.